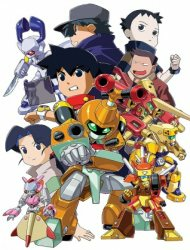 Plot Summary: The sequel to the famous Medabots series, following the continuing adventures of Ikki and Metabee. The two encountered a strange enemy named Jinkai and the so called Death Medabots. Along with Nae and Erica, they will defeat Jinkai and the Death Medabots.